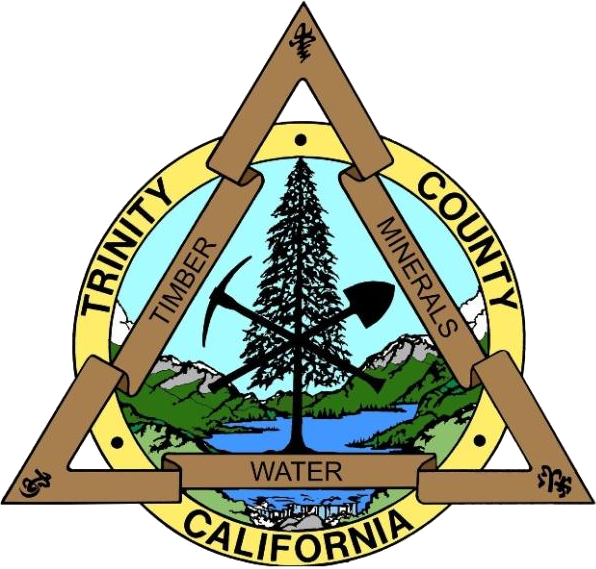 Located in the lower reaches of the Cascade Range in California, midway between Redding in Shasta County and the Northern Redwood Coast, Trinity County encompasses approximately 3,200 square miles of Granite Peak alpine grandeur. Tucked away among fir and pine forested slopes, wildflowers in season cloak remote dells with splashes of brilliant color. Clear, tumbling waters from tarns and snow packs high up under towering peaks course down through rock walled canyons. The Trinity River Scenic Byway traverses the County alongside State Route 299. Opportunities for satisfying outdoor vacations and activities are limited only by your own imagination. Largely underdeveloped, the area offers conveniences and creature comforts in a natural environment without the hustle and hassle of more structured recreational communities. The Trinity Alps: Hundreds of miles of Forest Service roads, trails and old logging tracts open up spectacular forested mountains to hiking, horseback riding, mountain biking and motor vehicle touring. The whole area is a wildlife laboratory of diverse flora and fauna with four seasonal variations for you to watch, study, research, photograph and, in some cases, collect. The Trinity Alps Wilderness can be accessed through many gateways for wild-stream fishing, day hikes or extended treks. Pack trips on horseback are available with local licensed guides. The Trinity River and tributary waters are themselves sources of thrills, adventure and enjoyment. All sorts of water activities abound: everything from toe dabbling, fishing, gold panning or just floating lazily in an inner tube, to racing down white water riffles and rapids in a bobbing raft or kayak. A 147-mile shoreline encircles Trinity Lake, the third largest reservoir in California, with abundant open water for most water activities. Secluded coves for houseboat get-aways, long open stretches for jet and water skiing, fishing, and various inlets for canoeing Trinity Lake. Bring your own boat or visit one of the four marinas for rentals. While it's up to you to catch them, there is a significant population of Rainbow trout, Small and Large mouth bass and Catfish waiting in the Lake to try your skill and patience. For some years the American Bald Eagle was in decline; some thought it would soon be lost to our heritage. It is good to say that now there are increasing numbers of our noble bird nesting in a restricted area along the shore of Trinity Lake. Though hard to come by, there are thriving deer herds in Trinity County for those willing to put forth the effort. Hiking the steep mountainous terrain and dense forests require good physical conditioning, stamina and endurance for hunters. But it's all worthwhile; the county enjoys a superior hunter success ratio. California Black Bear are also here in satisfying numbers to reward the willing hunter. For those of a less active inclination, there is a shady spot waiting for you to read or muse or simply laze and maybe snooze, lulled by the sounds of soft breezes, fluttering leaves and the river current crashing against rocks. Whatever your interests, once you've spent some time in Trinity County, you'll want to come again! And, we'll be glad to see you.